The months leading up to the purchase of a new home are super-busy. There’s so much to do! While you’re tending to everything on your list, be careful not to let your guard down. 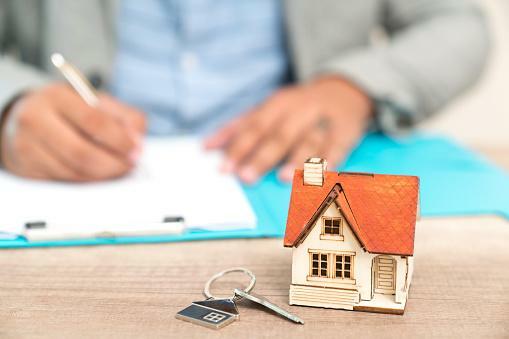 A recent uptick in mortgage fraud means house-hunters need to be extra vigilant. You’ve picked out a property and you’re now preparing for closing. Here’s where the hacker steps in. If you’re targeted, you’ll get an email appearing to be from your real estate firm or title company. It’s telling you there’s been a last-minute change in the closing process. It will then instruct you to wire your closing fees, or even your entire down payment, to a specified account. Alternatively, you’ll be asked to share account information so that the company can withdraw the fees on its own. Of course, the email is bogus and the account belongs to the scammer. In a matter of minutes, you can lose tens of thousands of dollars. To make the emails appear genuine, the hackers crack passwords of authentic companies and help themselves to lists of clients who are currently using these firms. They even appear to be emails from the companies, so there’s little reason to be suspicious. Pre-closing payments. Most closing-related fees aren’t due until the day of the actual closing. Wire transfers. Mortgage brokers and realtors won’t insist that you wire funds. They’ll happily accept a personal check, or even cash. Email. Professionals will never ask you to send financial information via email. If you receive an email from your real estate firm or title company asking you to wire funds, do not respond. Verify the email’s legitimacy by contacting the company on your own. Do not click on any embedded links or respond directly to the email. Instead, open up a new message and email them directly. You can also call the company by using the phone number you’ve used in the past. Alert the FTC at ftc.gov. If you’ve already wired money to the scammer, you can still mitigate the damage. If you’ve sent the money through Health Care Family Credit Union, ask us about a wire recall immediately. If you’ve used a wire transfer company, you can’t reclaim the funds but you can call their complaint line to alert them of the scam. If you’re in the market for a new home, be extra vigilant. Don’t let this exciting time become a nightmare!